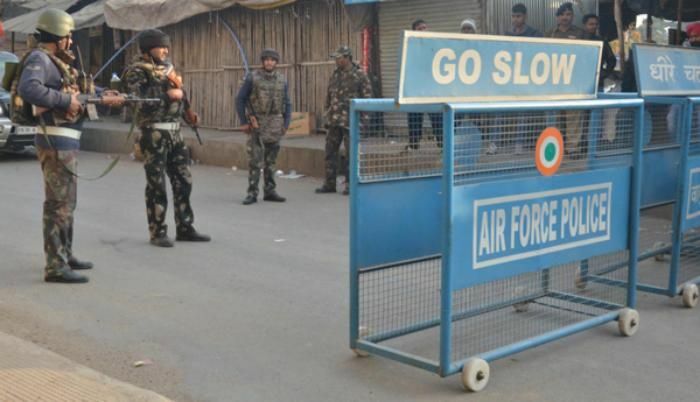 A five-member Pakistan Joint Investigation Team (JIT) has arrived at the Pathankot airbase to carry out the investigation into the 2 January terror attack on the Indian Air Force Station. During an interaction with reporters on 28 March, Defence Minister Manohar Parrikar said he had denied permission to the foreign investigative team to go anywhere near the airbase. He said the Pathankot terror attack was being investigated by the National Investigation Agency (NIA), and thus, it was within the purview of the NIA to give permission to the Pakistan JIT to probe the crime scene. The National Investigation Agency (NIA) has given a detailed presentation to the visiting Pakistani probe team on the evidence collected in connection to the Pathankot terror attack case. The JIT reached New Delhi on 27 March and met the NIA officers on 28 March. Inspector General of NIA, Sanjiv Kumar Singh told media personnel yesterday:"The JIT will be taken to different locations associated with the attack case." He said that the exercise was aimed at providing evidence to the Pakistani probe team so that all those guilty of the terror attack could be prosecuted effectively in the neighbouring country. NIA sources said that the JIT had held talks with the NIA members on the Pathankot attack investigation and that the NIA had furnished evidence in the case. Sources said the Pakistani JIT did not deny the evidence pertaining to the involvement of the Jaish-e-Mohammed's (JeM) in the attack. This is the first time ever that Pakistani intelligence and police officials are traveling to India to investigate a terror attack case. New Delhi has been pressing Islamabad for action on the attack by terrorists on the key Indian Air Force base in Pathankot, in January this year. Seven security personnel were martyred in the attack. All terrorists involved in the attack were also killed in the gun-battle.